An amazing night! I've had nothing but great feedback from the other Hens! A truly fun Whodunit for Hens of all ages. While the comedy & drama unfolds everyone decides who committed the dastardly deeds. We create these comedy events just for your Hen. We customize our unique script and personalize the clues to include personal information about the Bride, Groom and wedding which are hers to keep. 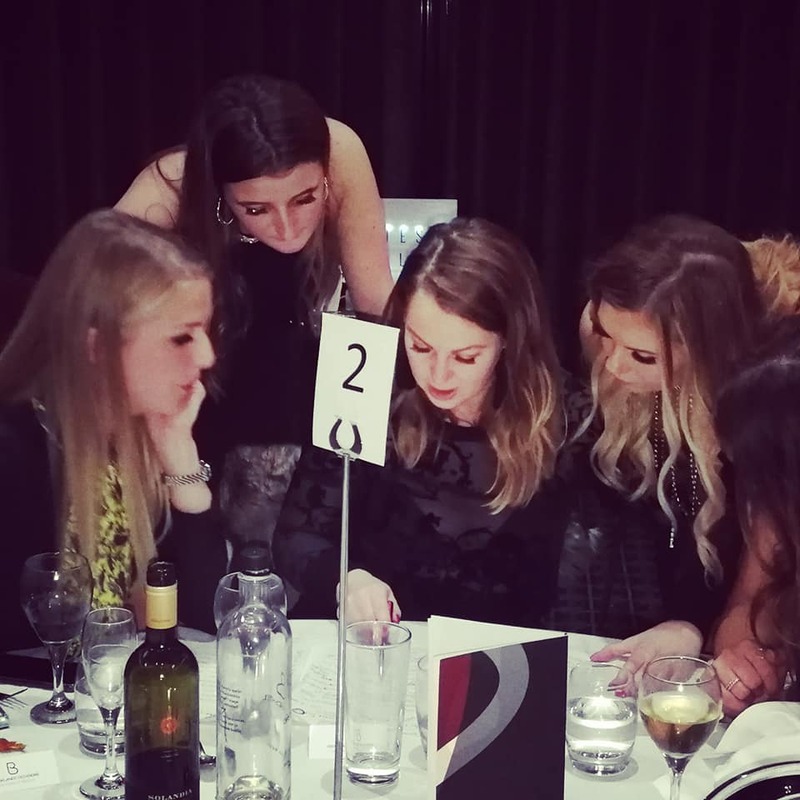 We are award winning specialists in creating amazing murder mystery hen parties and understand there is only one chance to have an amazing hen party. We work anywhere in the UK (and abroad). No venue? No problem. We can come to your home or suggest a venue. 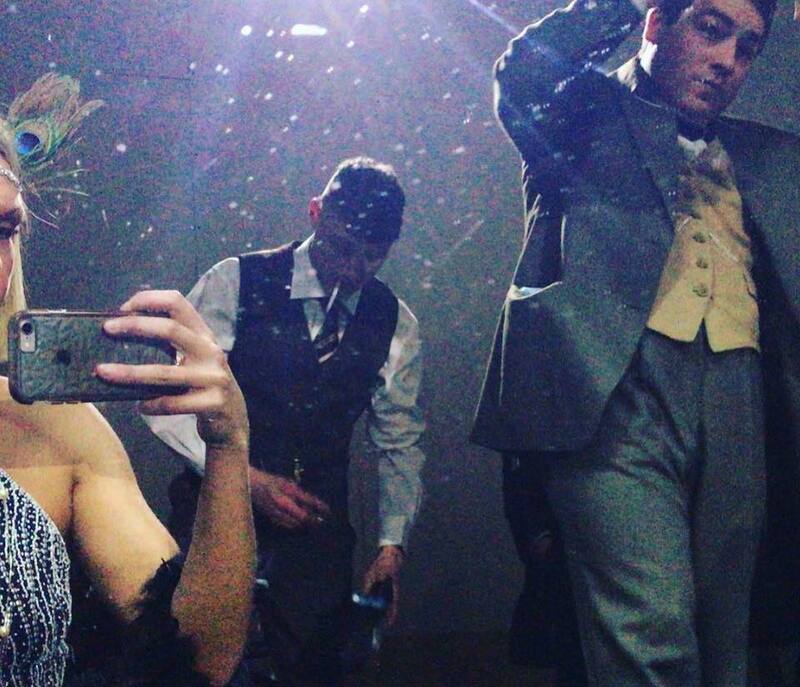 Blackwatch Entertainment's professional actors set the scene. Our interactive shows provide the chance for guests to play suspects (but no one knows Whodunit). We bring everything with us. All you need to worry about is having fun - and staying alive. Our scripts are written by our professional actors so we know they work! They are full of puns, jokes and designed for guests to have a great time. We only use experienced professional actors. We never compromise on quality so why choose anyone else to create memorable hen party . Perfect for all ages our events are fun, comedy murder mysteries (we don't provide the food but can suggest catering options & venues). Timings are flexible from 2 - 4 hours. You don’t have to host over dinner and you don’t need much space for this activity. We suggest a min number of eight guests. 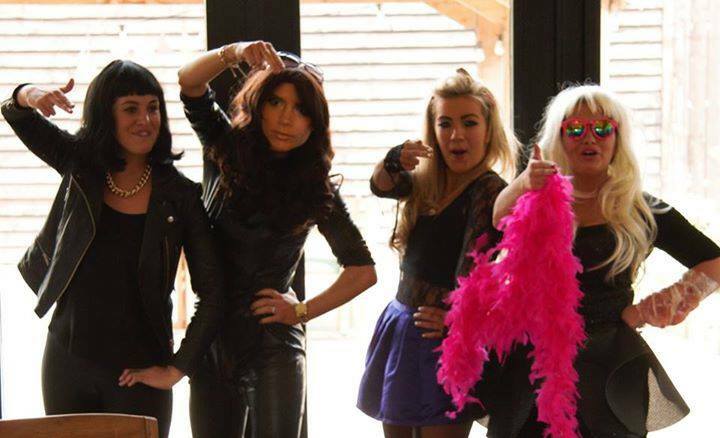 Hen party: Murder mystery - A Taste of Your Own Medicine - Step onto the red carpet in style. You are invited to the launch of a new celebrity magazine - Oi! Join a plethora of (mainly) A List superstars in this highly anticipated glamourous party. Anyone whose anyone will be at this hugely anticipated launch. But when a murder takes place who among the star studded party goers could possibly commit a crime? And why? Guests adopt a celebrity character for the night and the Hen will be the cover star (she will receive a mock up of the front cover). Death & The Maiden Voyage - 1920s. It's cocktail hour as you and your fellow hens set sail on a luxury ocean liner. But when the photographer goes missing and is found murdered. Who among you could have committed the dastardly deed? Surely none of the VIP guests would ever do such a thing….. Or would they? Beneath the feather boas and fringed frocks are secrets and lies that are revealed before the evening is out. Once you have chosen your theme we will send you plot details, timings and the all important characters & costume suggestions for your guests. There is nothing to learn in advance and your guests do not need to ‘act’ at all. Prices start at £400 for an entire evening of entertainment. Contact us for a quote. Check out our other themes below. These are not hen party specific but still lots of fun and perfect for a mixed group. 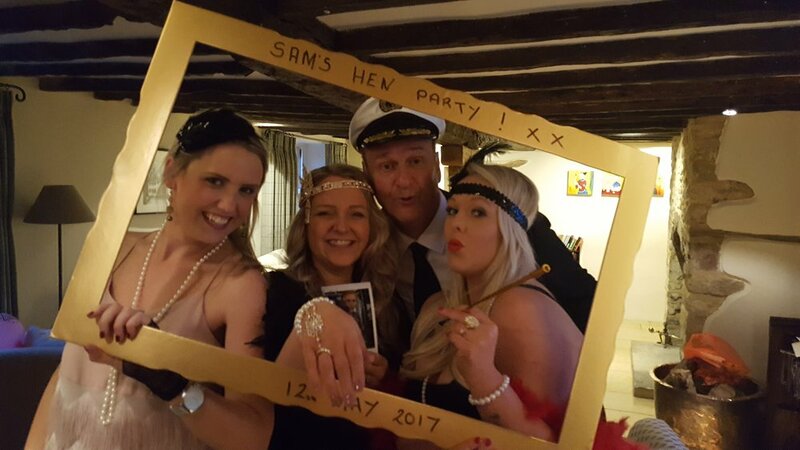 If you are planning a mixed event, a stag party or a ‘sten’ (Stag & Hen) a Murder Mystery is the perfect way to celebrate with a lot of laughter & a Whodunit. Murder at the Manor - Lord and Lady Thornley-Cruttock invite you for champers & canapés. Where has gardener Pete Spreading put his greenhouse keys? The murder of the Lord leads to twists, turns and very surprising revelations. We can adapt this theme to any era. Death and the maiden voyage - 1920's: Join Captain Bob Upendown for a very special voyage. But it’s not going to be plain sailing. When the guest cabaret artist is murdered during the Welcome Aboard party everyone must turn detective to catch the killer. James Bond 007 Live and Let Dine - When the most expensive diamond ever discovered suddenly goes 'missing' it's time to call on The Man With The Golden Gun. When a murder takes place Bond needs to solve it before the Goldfinger is pointed at the wrong person. A perfect spy theme and an homage to classic Bond movies that are so well known and loved. Murder at The Manor - There is more to village life that the Constance Noring's WI cake sale and Rev Gordon Bennett's sermons. But who could have predicted a murder would be announced? This is a comedy murder mystery with lots of silliness and murder guaranteed. Invisible Murder (Classic only): Our murderous staff are among the real waiters, chefs and servers. But your guests won't know who is who. When the Chef reveals that dinner is delayed, a waitress get electrocuted and a guest is ejected for drunken behaviour it becomes clear that all is not quite as it should be. When a murder takes place the real guests need to solve Whodunit and why? As well as the comedy whodunit this event combines elements of cabaret and song. Red Carpet Catastrophe: It’s the award ceremony that people would kill to go to. While many covet the secret awards only few are invited and even less achieve success. Who killed the demanding Diva? So many have reasons, motive and opportunity. But Whodunit? Step on the red carpet and get your glad rags on as there will be reporters, directors and the hottest talent in tinsel town. However when warnings of a mystery guest and a murder takes place who is keeping secrets and who is telling lies? That’s for you to decide.